Love has proven to have no age, race, or gender, and with these beautiful love stories, we can see that status is also not an issue. When you fall in love, it doesn’t matter if it’s with a big movie star or a person you meet at the grocery store. These are the couples, that for at least one of the two, it was a dream come true to marry the other. Here are some movies stars who married their fans and some “regular folks” who married their celebrity crushes. Oh Mcdreamy… It’s no wonder the Grey’s Anatomy heartthrob is nicknamed that because he does look like a vision after all. When his current wife, Jillian Fink, was working as a hairstylist at a salon, she probably thought she was dreaming when she saw the actor made an appointment to have his hair cut where she was working. Fink must have been very good at small talk, because she got herself a date with Dempsey. 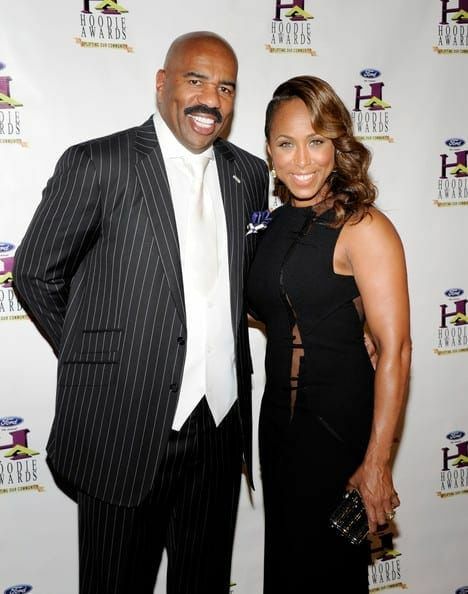 The two have been married since 1999, despite divorce rumors, and have three children together. The sweet actress met her second hubby, Jim Toth, who works as a talent agent, when they were both on a night out and Toth rescued her from a drunken friend who was hitting on her. The Hollywood starlet and her husband, whom she married in 2011, have been spending many nights out together since then and they had a son together in 2012. 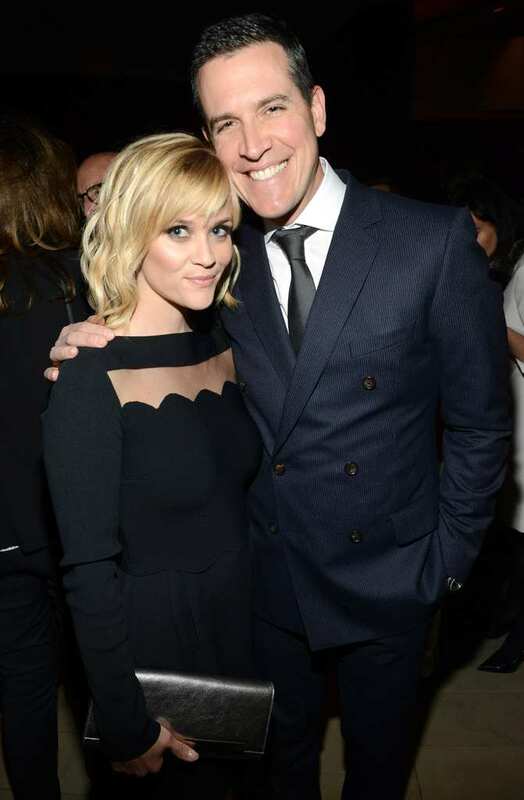 Reese also has two children from her previous marriage to actor, Ryan Phillippe. 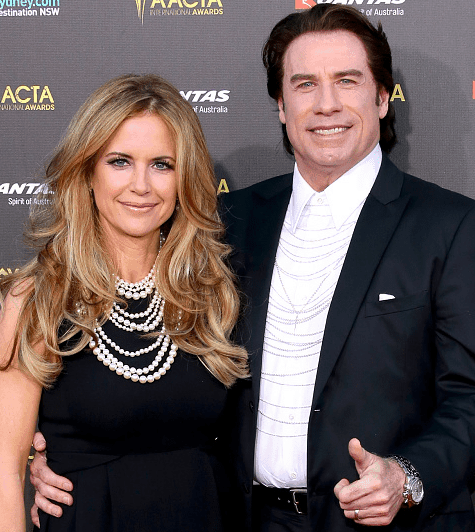 The actress has admitted many times in the past that she had a big crush on Travolta after she saw him in the musical film, Grease, working his dance moves and charm. She decided (with herself mostly) that she would marry the actor one day. Four years after the two were working together on the 1987 film, The Experts, Preston’s dream came true and she married her favorite movie star. We can’t decide who should be fan of whom in this relationship. Is it the talented actress or the successful singer and performer. 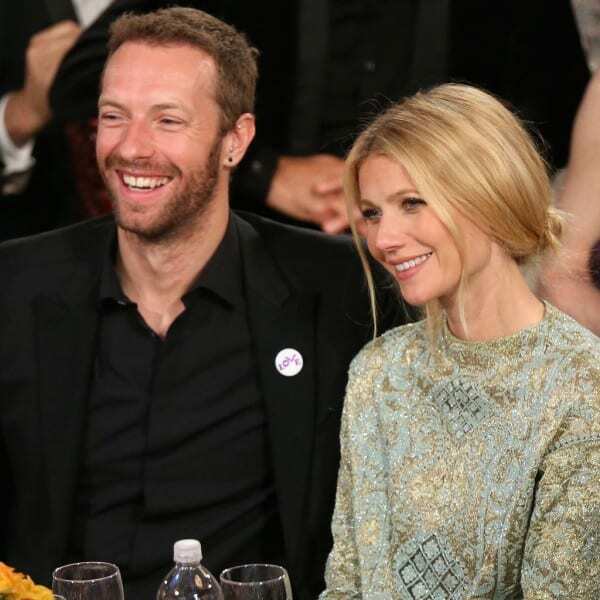 Gwyneth might be a big star in her own right, but that didn’t stop her from going back stage at one of Coldplay’s concerts in 2002 and trying to meet the lead singer. The two ended up marrying each other and they have two kids. Although they are divorced now, they have remained close friends. She is one of the biggest stars in Hollywood and definitely America’s Sweetheart, so it’s not hard to imagine someone falling for the Pretty Woman herself. 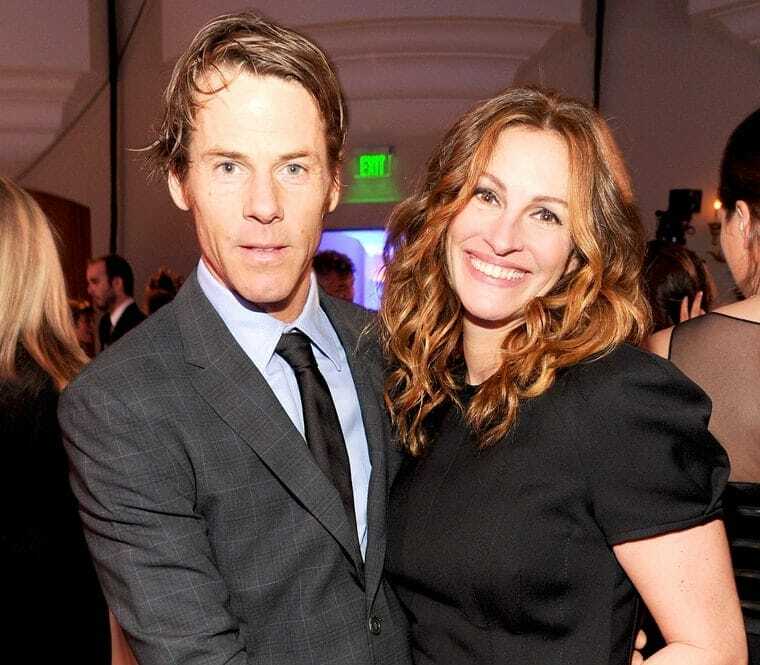 Julia Roberts met her future husband, cameraman Danny Moder on the set of The Mexican. A few years down the road, and the couple is married with three children. It’s kind of nice to think that an actress married a cameraman, it makes others very hopeful. 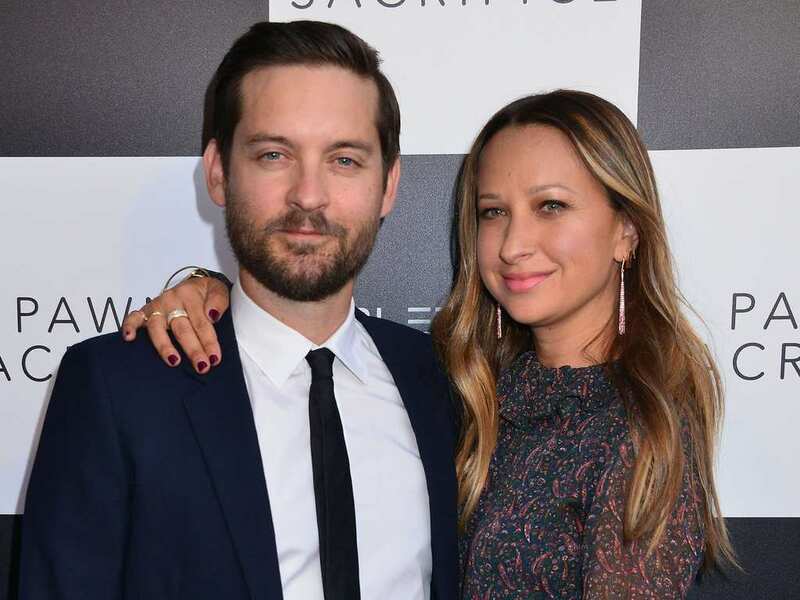 The Spiderman actor met his wife, jewelry designer Jennifer, when he was filming the 2003 sports film Seabiscuit. Meyer, who was a fan of the actor wanted to be caught up in his webs, so she made an effort to be introduced to the actor. Apparently, that worked for her because three years later, the two were engaged and they have two children together. It’s funny to think of the British stud as a Spice Girls admirer, but the reality is that the soccer player knew from the moment he saw Posh Spice perform that he was going to marry her. Victoria admits that she used to check him out while flipping through magazines. They eventually met in 1997, and if you do the math, the couple has been together for over 20 years now. They definitely ‘Spiced up their Lives’. The couple has four children together. The actor admitted in the past that he had a crush on the pop diva years before they met on the set of his show Las Vegas. We can understand how he would because she definitely stood out when she was part of the successful music group, The Black Eyed Peas. In 2004, Fergie had a cameo role on the show and the rest is history. The couple has been married for eight years and they have a son together. Anne Hathaway and Adam Shulman’s story of how they met is seriously adorable. Anne was introduced to the actor-producer-jewelry designer at a time when she was kind of hoping to be single for a while. However, their chemistry was so undeniable, that they hit it off immediately. Anne even asked the actor on a spontaneous trip to New Orleans, and apparently, her courage paid off because these two are still happily married and they recently welcomed their first son. The versatile American Hustle star, Christian Bale, has been in numerous movies and has had some epic roles. He met his future wife, Sandra ‘Sibi’ Blazic at a party that was happening during the filming of Little Women. Sibi, a former model and make up artist, was working as Winona Ryder’s personal assistant at the time. They married in 2000 and they have two children together. It was quite a ride for the Breaking Bad star and his wife whom he met at Coachella one year. 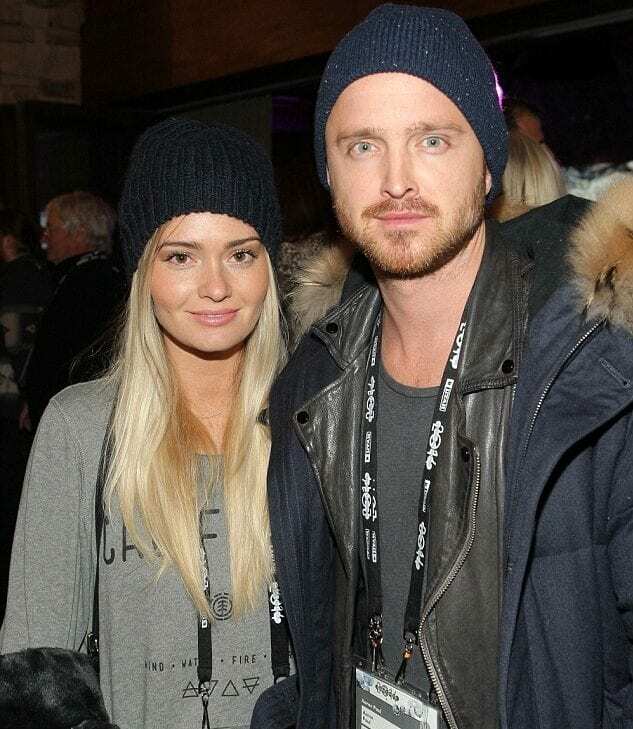 Aaron Paul and his radiant wife, film director Lauren Parsekian, shared their very first kiss when they were riding a Ferris wheel at the music festival and they have a thing for carnivals now. The couple tied the knot in Malibu with a Gatsby-themed wedding in 2013 and had their first child in February 2018. What better way to meet than on the set of your own show? Well, for the longtime talk-show host Conan O’Brien, that was the case exactly. Liza Powel was working as a representative of one of the advertisers in the show and she appeared in a skit segment. O’Brien claims that he fell for her straight away. The couple has been married for fifteen years. The diva was married to her second husband, Nick Cannon for eight years and they never let their 10-year age difference get in the way of their relationship. Cannon used to say that Carey was his ‘dream girl’. Well, apparently dreams come true because they eventually got married and had twins together. Unfortunately, not all fairytales have a happy ending, though, because the two finalized their divorce in 2016. The Desperate Housewives star has one of the most down-to-earth love stories of how she met her husband. The striking red-head who also starred on the long-running show, Melrose Place, met her future husband and father of her twin girls at a flower shop. The actress was walking behind Tom Mahoney inside the shop and when she heard his voice she couldn’t stay indifferent to it. She left her number to the woman at the counter to give to Mahoney, and the rest is history. Six months after their first date, they were married. When the hit ’80s movie Top Gun was released, Katie Holmes was only nine years old, but that didn’t stop her from believing that one day she would marry the star of the film, Tom Cruise. She had a crush on the hunky actor growing up and watched him in other films like Cocktail, too. Dream became reality for the Dawson’s Creek alumni as she ended up marrying her childhood crush and even having a daughter with him. The couple divorced after six years of marriage, but it’s still a cute story. Call it destiny or just a coincidence, but Matt Damon met his future wife, Luciana Barroso while he was filming a movie called ‘Stuck on You’ and ever since then they have pretty much been stuck on one another. Luciana, a former bartender, was working at a Miami Bar back in 2003 when Damon walked in. The actor must have been extremely attracted to the fact she wasn’t Hollywood-material, because the two eventually got married and have four daughters together. The actor, comedian, and critic, Russell Brand had a crush on the colorful singer way before they actually met. The two came together on the set of Get Him To The Greek where Katy had a cameo. As much as their relationship and love was intense, it wasn’t always “fireworks” and the couple divorced in 2012 after only two years of marriage. They have both moved on since their split. 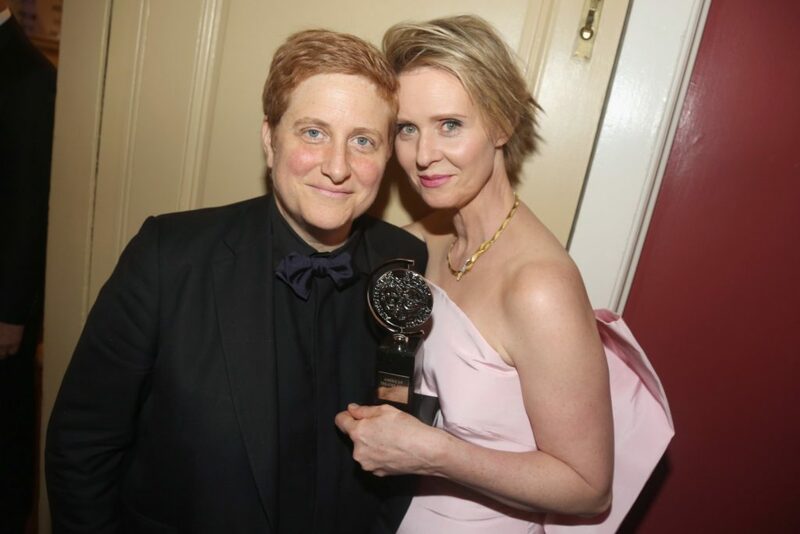 Actress Cynthia Nixon may be best known for her iconic portrayal of Miranda Hobbes on the hit HBO series SATC. What you may not know about her is that she’s also a lifelong activist. Despite the ugly way that their love story ended, the way Sandra Bullock and Jesse James met is pretty adorable and it has to do with her godson. The Academy Award winner asked her godson what he wanted for Christmas one year, and he asked for a tour on the set of Monster Garage. The host of the show was Jesse James, Bullock’s future husband and later ex-husband. 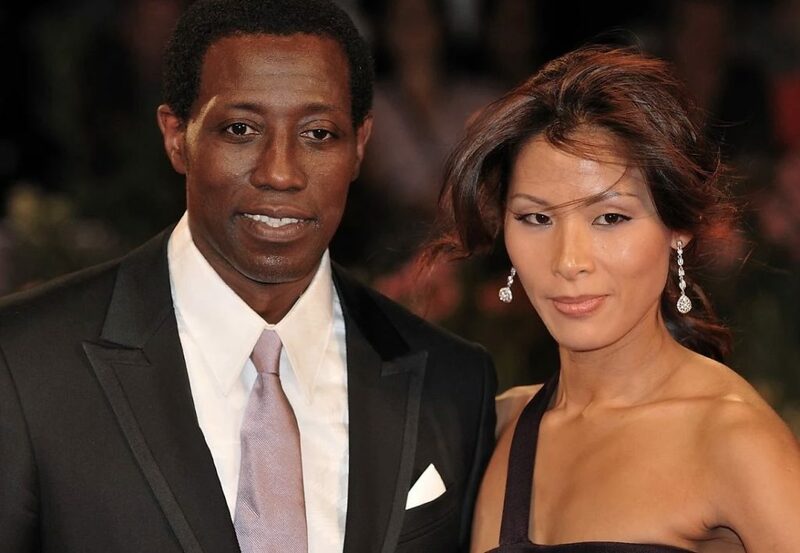 The Blind Side actress got her happy ending until she found out James was cheating on her. It’s not hard to see how Zoe Buckman would totally be a fan of actor David Schwimmer, despite their 18-year age gap – after all, Friends is one of those shows that everyone can relate to, no matter when in life they see it. The two met when the British photographer was only 22 and the Schwimmer was 40 years old. They caught each other’s attention when she served the actor’s table while he was having dinner at the famous Cuckoo Club in London. They married three years later in a small and private ceremony. The television star hasn’t had the best of luck when it comes to his love life and marriages. He has been married three times in the past before he met his fourth and current wife, Katye Wash. Unlike his high-profile ex-wives (a reality show star and an exotic dancer), Wash has a more low-key job as a flight attendant. Katey basically grew up watching her husband’s shows, Frasier and Cheers, so it’s pretty adorable to know that she ended up marrying her TV crush. There was no cooler rock band in the 90’s than Green Day. The group released some of the biggest hits of the time that are still being played today. 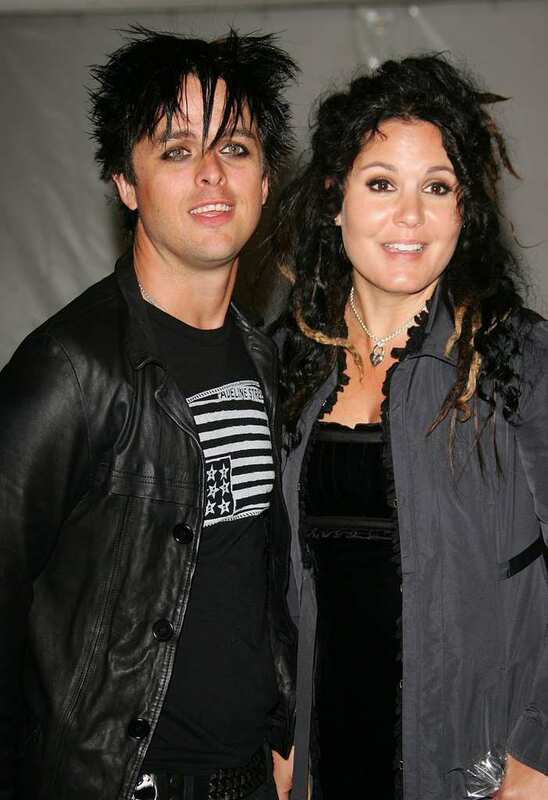 The group’s frontman, Billie Joe Armstrong, met his wife, at a Minneapolis concert where the band was performing. She was a big fan who was lucky enough to marry her music idol and has been married to him since 1994. On the more nostalgic note, the Beatles will probably always be the most successful band in music history. You can only imagine the amounts of screaming fans, and ladies, especially when the iconic group went up on stage to perform. 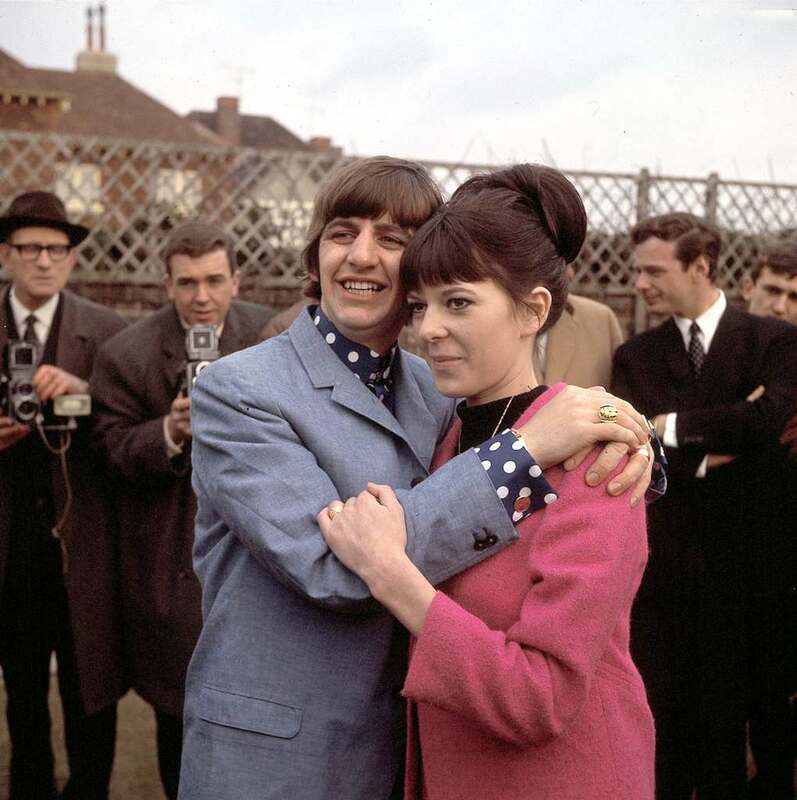 One of those fans was Maureen Cox who managed to catch a Beatle named Ringo Starr. The two married in a secret ceremony in 1965 when Cox was only 18 years old. Their marriage lasted only ten years and left a lot of stardust behind. Priscilla Wagner was a big fan of the the King of Rock and Roll himself when she was only fourteen. She had the initiative to ask a mutual family friend to introduce her to Elvis. The iconic artist and his future wife quickly fell in love – though he was ten years older than her- and married in 1967 after dating for eight years. 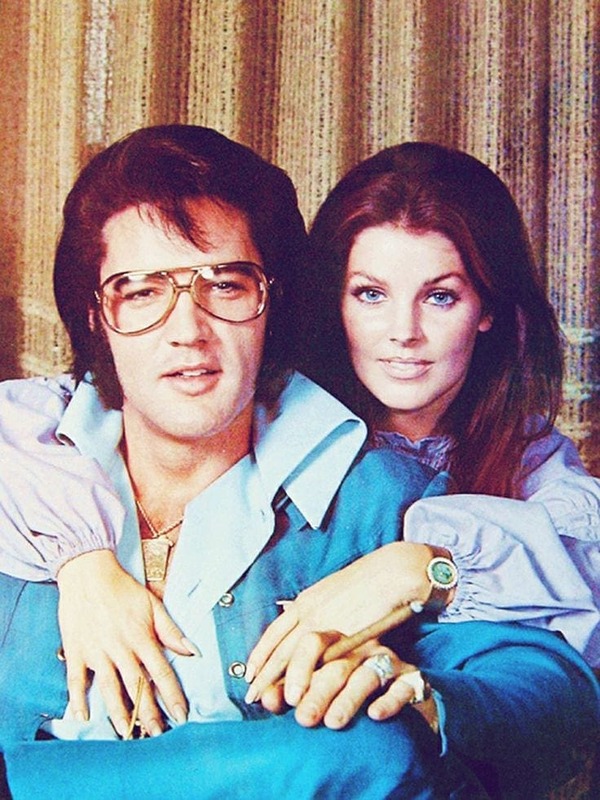 The two had one daughter, Lisa Marie Presley, who married the King of Pop, the late Michael Jackson. It’s very possible in the film industry where you have so many crew members, that the staff would fall in love with one another, after spending so much time on set together. For Cash Warren, who was working as a production assistant on the set of Fantastic Four, it was a dream come true to meet the stunning leading lady of the film. The two met in 2004, married in 2008 and have two daughters together. This power couple met while strolling on the beach one day in Rio de Janeiro. It’s hard to say who was a bigger fan of the other as she was a successful supermodel, one of the highest paid in the world, and he is one of the highest paid NFL players around. The couple married in 2009 and have been hitting the red carpet and other events together looking like they were pulled out of a magazine shoot. Another Friends alumni, Jennifer Aniston, was a big television star while her future (and later ex) husband was a rising Hollywood heartthrob. The couple went on a blind date in 1998 that was set up by their former agents, and the rest is history. The couple wed in 2000 and remained married for five years. They both went their separate ways after that, Brad married his former co-star, Angelina Jolie and Jennifer later married actor, Justin Theroux. The comedian who was the star of the hit sitcom from the 90’s, Seinfeld, didn’t have to look far in order to find the love of his life. Jessica Sklar, was working as a PR executive, so in a way also in the industry, and was a huge fan of the show when the two started dating. The couple tied the knot in 1999 and they have three children together. Corey Feldman and actress Susie Sprague were married for 12 years before divorcing back in 2014. 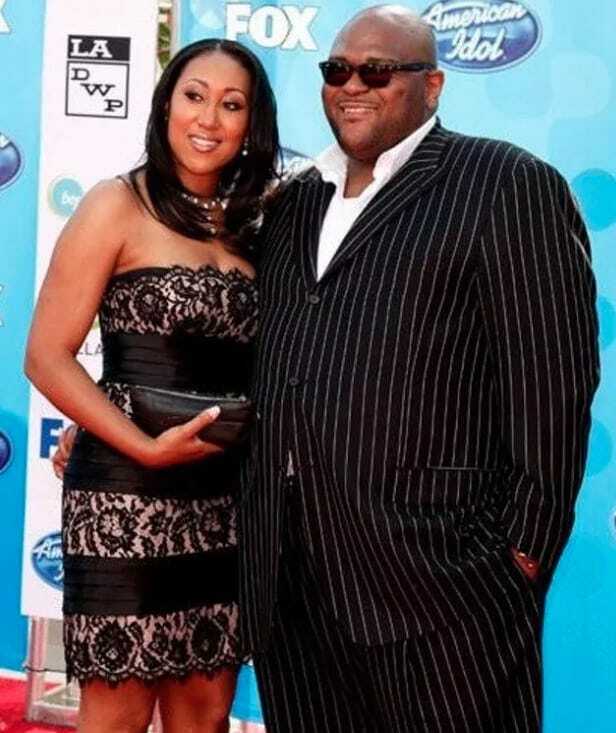 While appearing on the reality series The Surreal Life, he married her publicly in front of the cameras. She was a fan of his and even said “I knew I would marry Corey ever since I saw Stand By Me.” Corey was a major child actor in the ’80s. You know him from the hit kid films Stand By Me, Gremlins, and of course, The Goonies. While signing copies of his new album at a Walmart, Ruben Studdard met Surata Zuri McCants. She was a huge fan of Ruben’s and even voted for him during the second season of American Idol, which he won. She was so excited to finally meet the pop star in person. When they did, sparks flew and the two married in a private ceremony two years later. They were married for four years before calling it quits in 2011. 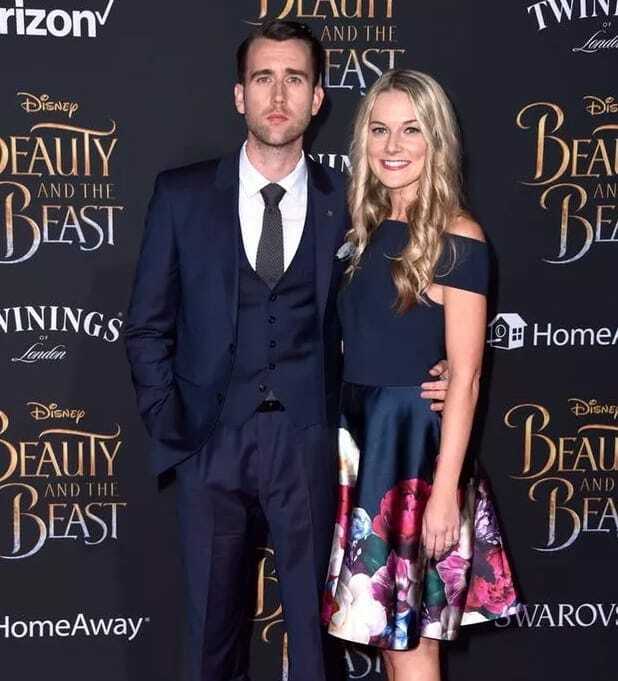 You know actor Matthew Lewis best from his role as Neville Longbottom in the Harry Potter movies. 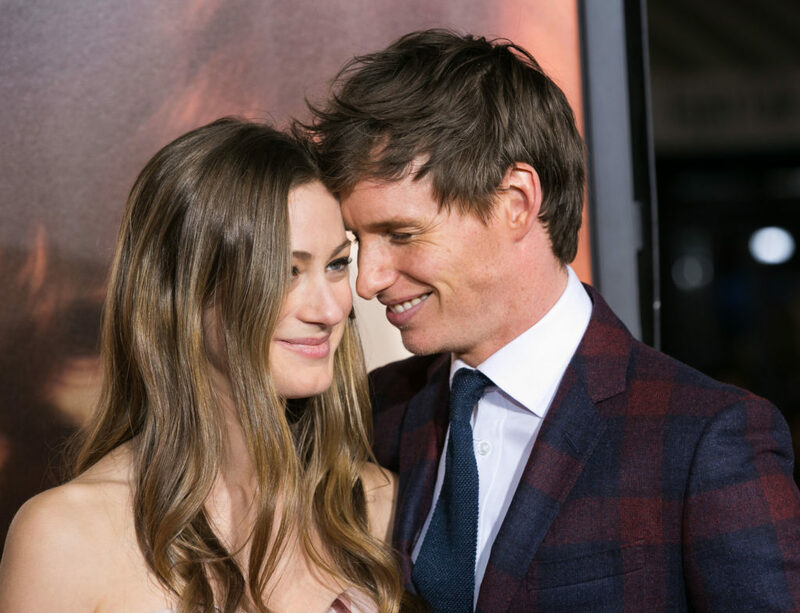 One day while he was promoting a film at the Wizarding World of Harry Potter in Orlando, Forida, he met and fell in love with event planner, Angela Jones. They married in 2018 and have been happy since. After the Harry Potter films wrapped, he starred in the romantic drama Me Before You, and most recently, the Margot Robbie-starring thriller Terminal. Sure, Amber Rose may have come into the public’s consciousness after marrying rapper Wiz Khalifa in 2011, but she has since well established herself as a model and activist. When the pair met in 2011 she admits to being a huge fan of his music. Shortly after giving birth to their son in 2013 the couple got married. After one year, however, they decided to split up. It was a nasty divorce – according to the tabloids – but they each remain devoted to their child. During college, while studying abroad in New York, painter Nikki Park watched several Wesley Snipes films and became a big fan of his work. As luck would have it, Nikki would have the chance to meet the actor in person. The pair fell in love and got married in a romantic ceremony in 2003. The couple has four children together. Snipes most recently took a step away from acting to work as the fight choreographer for the blockbuster Jurassic World: Fallen Kingdom. Before they even met, Kanye West was already a huge fan of Kim Kardashian. He was well acquainted with her persona and brand and immediately had a crush on her. He pursued her and lucky for him she said yes. The couple famously married on her TV show and they have three children together: North, Saint and Chicago. 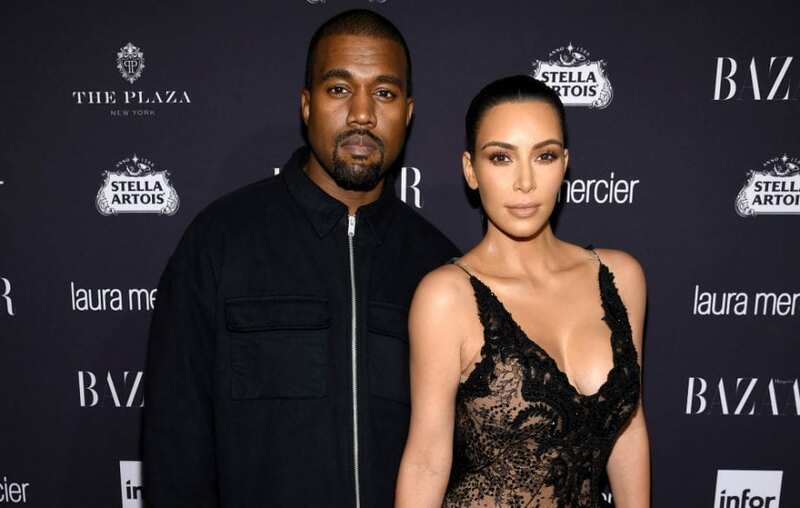 Even during Kanye’s multiple recent controversies, Kim has stayed with him through thick and thin. That sounds like love to us. Margot Robbie had quite a year in 2017 since she was nominated for her first Oscar thanks to her intense performance in the drama I, Tonya. She wasn’t always a household name, however, and was once a struggling actor herself. She met her now husband, assistant director Tom Ackerley, while she was shooting a show called Suite Française. She lived in a small apartment during shooting with three other roommates and Tom himself. He was a fan and they fell in love but kept their romance private. The rest, as they say, is history. Actress Samira Wiley and writer Lauren Morelli were both working on Orange Is The New Black when their flirtation began. Samira was a major fan of Lauren’s writing, and Lauren was enthralled with Samira’s intense performance as Poussey. Eventually the crush moved to dating and in 2017 the couple married in a gorgeous ceremony. They are #relationshipgoals on Instagram as they regularly post adorable pictures of their romance, from their divine wedding to their amazing vacation adventures. Eddie Redmayne is one of the great young actors working today. He has stolen the hearts of many for his amazing roles in The Danish Girl, The Fantastic Beasts series, and The Theory of Everything. He is known for his sweetness and politeness. It’s so hard not to fall in love with him – just ask his wife, PR executive Hannah Bagshawe. They met in college but their relationship didn’t blossom until later. They married in 2014 and have two children together. 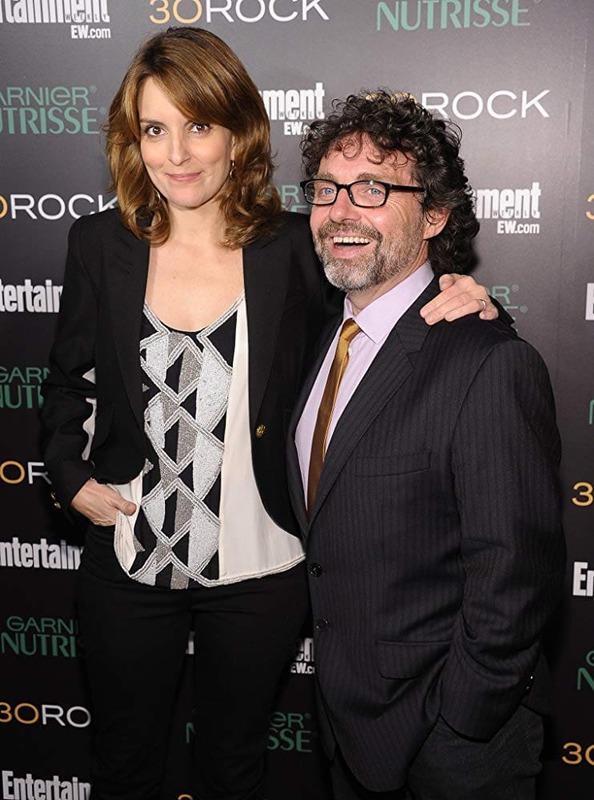 From the very moment Tina Fey met her now-husband, musician and composer Jeff Richmond, in an improvisation class, she was instantly drawn to him. It wasn’t until they spent the day in a museum together that they truly connected. They’ve been inseparable ever since. What’s the secret to their successful marriage? “I don’t have that kind of ‘I love the bad guys’ thing. No, no thank you. I like nice people,” she said. The two wrote Mean Girls on Broadway together. 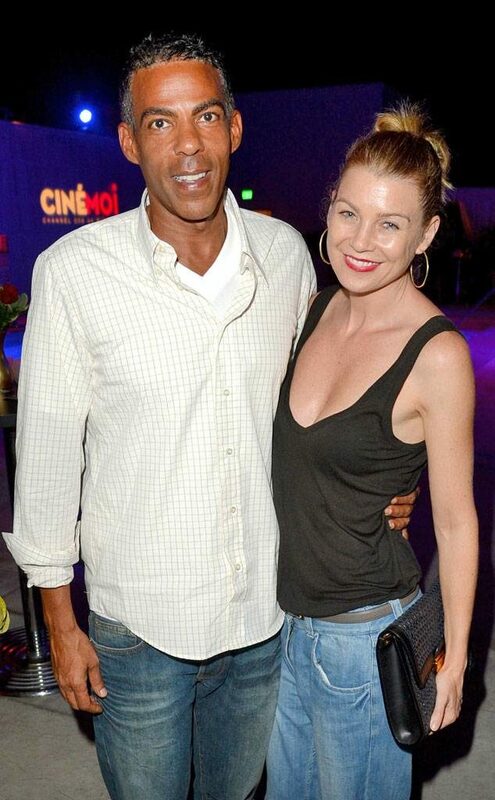 Ellen Pompeo may be the highest paid actress on TV right now for her portrayal of Meredith on the medical drama Grey’s Anatomy, but that doesn’t mean her love life can’t be relatable in its own right. She met her husband, music producer Chris Ivery, in a grocery store of all places. They’re both from the suburbs of Boston so, you know, they had a lot to bond over. They got married in 2007 and they have three children together. 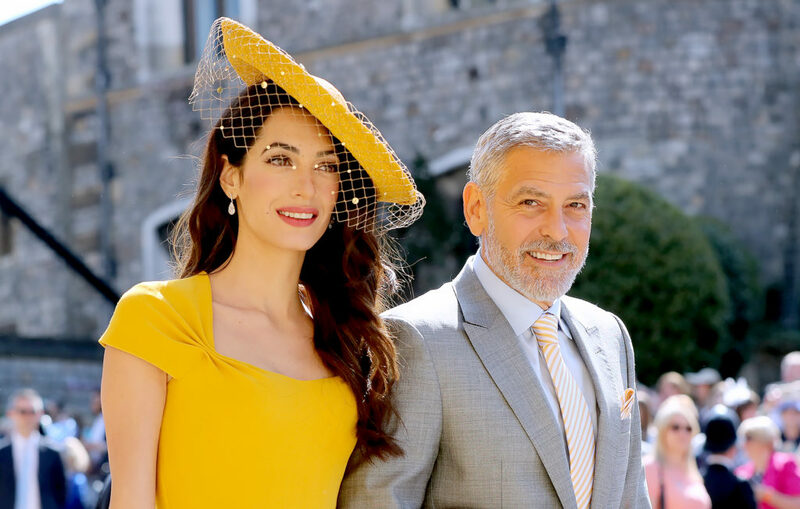 As a humanitarian and philanthropist (as well as one of the biggest actors of all time), George Clooney was a huge fan of Amal Clooney, previously Amal Alamuddin. She is a highly accomplished barrister and journalist who has dedicated her life to fighting human rights and social justice. Together they may be one of the most accomplished couples around. She’s clearly rubbed off on George as he has dove right into a number of human rights organizations since the two tied the knot. 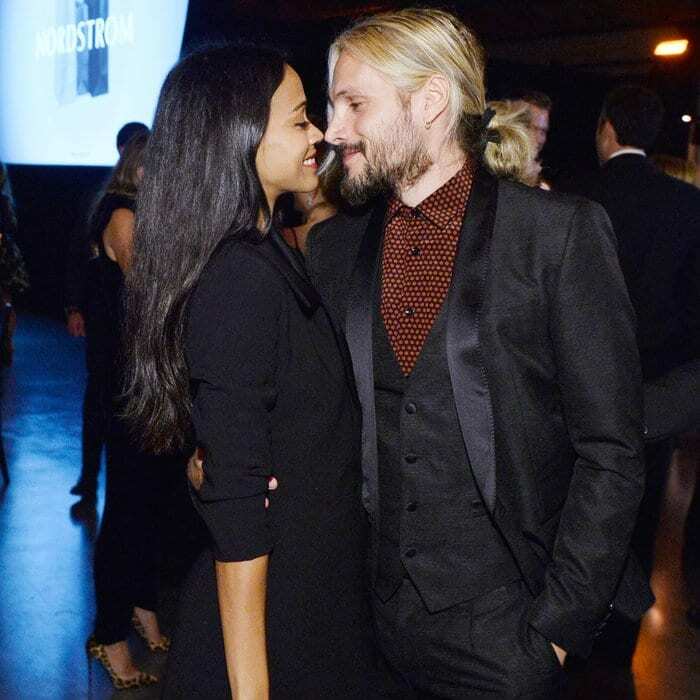 We’re sure that one glance at Zoe Saldana in Avatar, Star Trek, or Takers, and artist Marco Perego was in love. The pair tied the knot in 2013 and are often snapped by paparazzi canoodling on vacation and enjoying date nights in Los Angeles. Perego was a professional soccer player before a tragic injury cut hit career short. He has certainly made a name for himself after growing up working class. His father was a server at a restaurant while his mother was a homemaker. 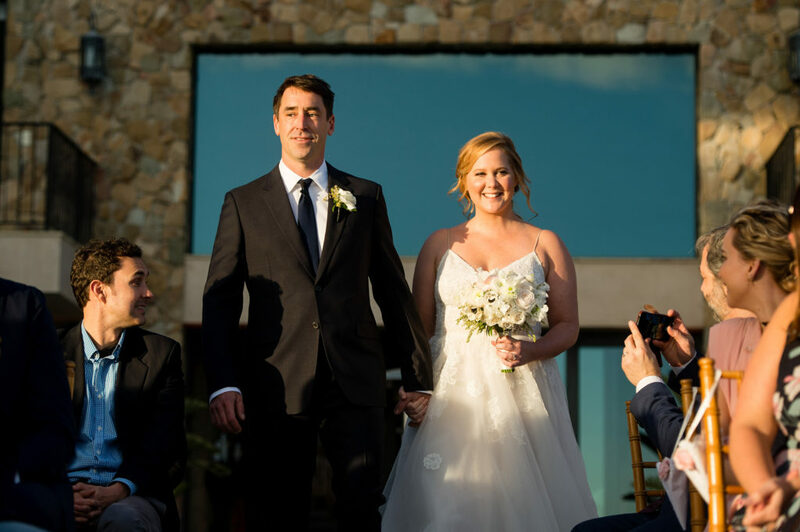 Amy Schumer shocked the internet when she got married in a surprise wedding earlier this year. She met her husband, chef Chris Fischer, through her assistant – in fact, Chris is her assistant’s brother. Sparks flew right away as Chris was already a big fan of the hilarious comedian and actress. Amy knew she wanted to spend the rest of their life with him from the get go so they decided to just go for it. Looking for a laugh? Google her wedding vows and thank us later. 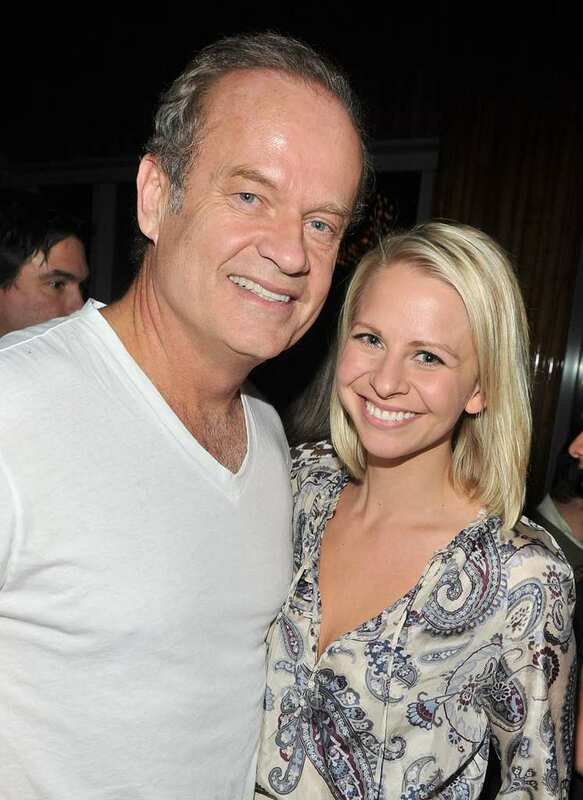 Harvey, the legendary talk-show host, who got a bit more attention that he had hoped for after his Miss Universe 2015 pageant mess up, met his future (third) wife at a club where he was performing. Steve and Marjorie got married in 2007 and, though they don’t have any mutual biological children, they are raising their kids from previous marriages together. You could say that the Face Off actor hasn’t always made the best of decisions throughout his personal and professional lives. He is known for choosing bad roles as well as for being a big spender. 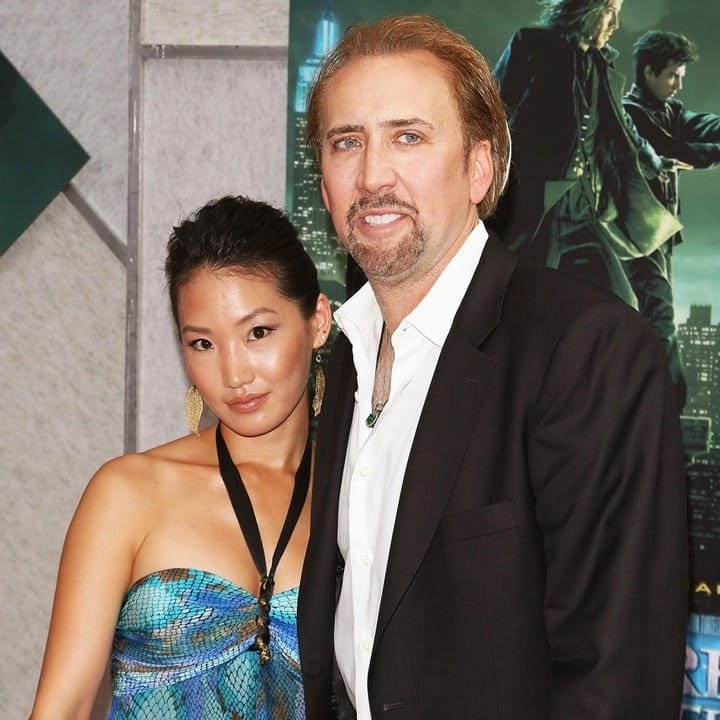 However, he did make a good decision when he married Alice Kim. Kim was working as a waitress in a restaurant and she was brave enough to ask the actor for his autograph. That move signed the rest of their future, as they eventually got married and had a son together. Unfortunately, the couple divorced after 11 years in 2016. Funny man, Adam Sandler, met his future wife, Jackie Titone, on the set of the 1999 film, Big Daddy. Titone had a small role in the film playing a waitress in the movie. If you recall, she was the one who took the order from Adam’s character in the sports bar. The two started dating shortly after the film was released, and she has been featured alongside her famous husband in other films such as 50 First Dates, Grown Ups, Just Go With It, and more.